Secured creditors have certain rights when a debtor files Chapter 7 or Chapter 13 bankruptcy. 1. How Much Debt Can You Have to File Chapter 7? 3. Can Anyone Touch My 401(k)? A secured creditor holds a security interest in an asset pledged as collateral for a debt. The secured creditor's rights depend on the type of bankruptcy the debtor chooses to file. Under a Chapter 7 bankruptcy, the court will liquidate the debtor's non-exempt assets and distribute the funds to the creditors. Debtors with income often prefer a Chapter 13 bankruptcy, which allows them to pay off their obligations over the next three to five years. The bankruptcy court creates a plan to pay the secured creditors and establishes required installment payments. Before he may enforce his rights, the creditor must perfect the security interest in the property. This provides notice to the public that the creditor has a priority interest. The notification requirement also allows unsecured creditors to properly assess the risk of extending additional credit to the debtor. The requirements for perfecting an interest may vary by state and county. In most areas, you must record mortgages with the county recorder's office and vehicle title liens with the Department of Motor Vehicles. Secured creditors are paid before unsecured creditors. If the debtor has a lot of secured obligations, there may not be enough money left to pay the unsecured creditors. Secured creditors are still behind high-priority claims such as delinquent taxes or missed child support payments. Secured obligations also can have varying priority levels. First mortgages take priority over second mortgages. Lenders offering unsecured loans or second mortgages may charge a higher interest rate to offset the additional risk of default. Chapter 7 bankruptcy gives the debtor three choices of how to handle his secured obligations. He may surrender the asset used as collateral for the debt, redeem the debt by making a lump sum payment equal to the present value of the asset or reaffirm the debt with the creditor. Reaffirming the commitment to pay a creditor effectively negates the bankruptcy judgment as it relates to that specific debt. The debtor is offered different choices with a Chapter 13 bankruptcy. 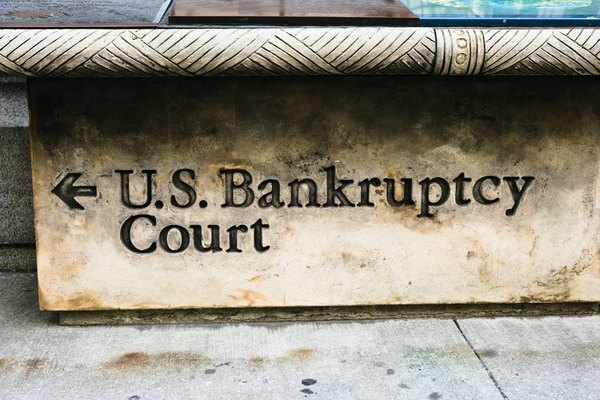 He may surrender the property that secures the debt, pay the debt outside of the bankruptcy court's reorganization plan or pay the debt as part of the reorganization plan. If the creditor agrees, he may also be able to modify the terms of the debt, such as lowering the interest rate or reducing the total amount due. Creditors in Chapter 13 cases have the right to examine the debtor's income and expenses. This right extends to reviewing a spouse's financial information even if the spouse is not filing for bankruptcy.